When you need proven printer performance for the long run, look to a Brady sign and label printer. With fewer steps to labeling, fewer parts to assemble and more intuitive label creation, you enjoy a faster and easier printing experience. 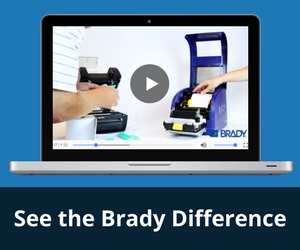 Don’t settle for less – get the labels you need in half the time and save where it counts with the Brady printer difference.